A team of researchers analyzed the unprecedented event -- a text that was announced as a false alarm 38 minutes later -- to better understand how people react in the face of a potentially catastrophic event. What they found was that people sought information that could verify their risk and help them decide what to do next. Most respondents, they found, didn't seek immediate shelter, but instead spent time looking for more information about the incoming attack. This behavior is known among disaster researchers as "social milling." "It's getting a sense of what other people are doing," said Sarah DeYoung," an assistant professor in the Institute for Disaster Management at UGA's College of Public Health. "Social milling means, let's see what's going on, observing the scene but also checking in with others." Social media played a key role in helping to spread the word about the false alarm. 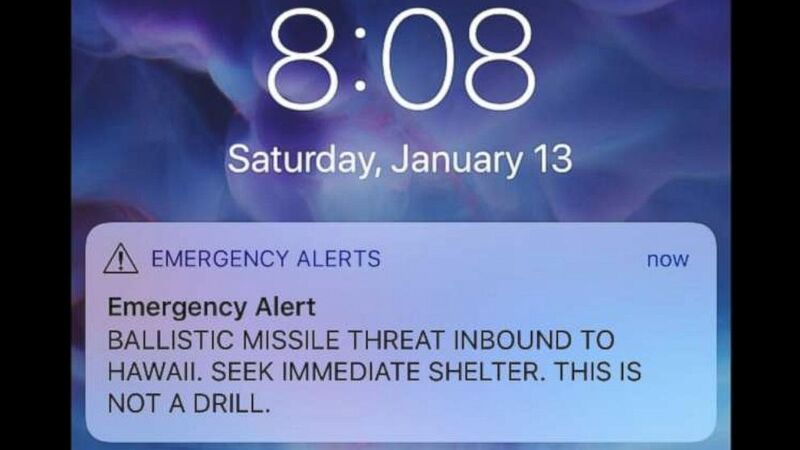 Hawaiian congressional leader Tulsi Gabbard was quick to tweet the warning was an error, and 16 percent of respondents said they saw and shared the tweet. "There was a spillover effect of social media that went beyond people who follow it," said DeYoung, the study author. "And it also speaks to the value of following social media because those people who did were able to deliver that message to their immediate network of people." In the days following the false alarm, respondents reported feeling a mix of emotions. Among feelings of trauma and anger, some respondents also said they didn't trust their local government to handle future emergencies. The good news for emergency managers and local government, said DeYoung, is that broader findings from disaster research says that false alarms generally don't cause people to disregard future alarms, but she added that respondents in her study said they'd be more likely to trust future tsunami warnings than future missile warnings. "People wanted multiple cues to validate the warning," she said, "so in order to increase belief and trust in the warning, it should go across multiple channels."